A wave of commercial investments in the natural resource sectors has rekindled debates about the place of contracts in the interface between economic governance and control over natural resources. Contracts between investors and states have provided the legal basis for many natural resource projects. They have also formed the object of renegotiations and disputes. Meanwhile, community-investor agreements have emerged as a strategy to promote local support for the business or advance local claims to natural resources. This chapter interrogates the fundamental parameters on which resource-related contracting rests. It first examines, based on positive law, the foundations of natural resource contracts, focusing on the notions of sovereignty, ownership and consent. This conceptual exploration highlights that, while consent underpins the contract, the legal construction of (state) sovereignty and (resource) ownership sets parameters for the expression of consent—namely, the actors whose consent is required, the processes through which consent is formed and manifested, and the bounds within which consent can lawfully operate. The chapter then distils some practical implications for natural resource contracts, focusing on illustrative issues relating both to the substantive and procedural dimensions of investor-state contracts, and to reframing the contracting process around a wider range of resource right holders and affected actors. The findings provide pointers for piecing together the diverse and possibly conflicting commercial and non-commercial interests that are at stake in natural resource contracts. A wave of commercial investments in the natural resource sectors has rekindled debates about the place of contracts in the interface between economic governance and control over natural resources. Since the early 2000s, the boom and bust of commodity cycles—and the increasing and then declining pace of investment in the agriculture, mining, oil and gas sectors—have fostered lively discussions over whether host countries received a fair share of economic benefits, over the distribution of those benefits within national economies, and over the social and environmental impacts of commercial activities. It is now clear that addressing the challenges associated with natural resource contracts involves not only ensuring that governments are in a position to get a fair deal in their negotiations with investors,14 but also reconsidering the fundamental parameters on which contracting rests. Yet these deeper-level parameters are still underexplored. Questions remain, for example, about legal arrangements to ensure that states exercise sovereignty in the interest of their people; about how contracting can operate in multi-layered resource ownership systems, including where socially legitimate resource rights enjoy little recognition under national law; and about who should have the right to manifest their consent, at which stage and under what conditions, in the distribution of decision-making authority that underpins natural resource contracting. This chapter explores these questions, focusing on the extractive industries and the agriculture sector.15 It first examines, based on positive law, the foundations of natural resource contracts, focusing on the notions of sovereignty, ownership and consent. This conceptual exploration highlights that, while consent underpins the contract, the legal construction of (state) sovereignty and (resource) ownership sets parameters for the expression of consent—namely, the actors whose consent is required, the processes through which consent is formed and manifested, and the bounds within which consent can lawfully operate. The chapter then distils some practical implications for natural resource contracts, focusing on illustrative issues relating both to the substantive and procedural dimensions of the investor-state contract, and to reframing the contracting process around a wider range of resource right holders and affected actors. The findings provide pointers for piecing together the diverse and possibly conflicting commercial and non-commercial interests that are at stake in natural resource contracts. In broad terms, natural resource contracts involve the allocation of resource exploration and/or development rights to an investor, in exchange for considerations such as revenues, employment or infrastructure development. That said there is tremendous diversity in contractual practice. Contract formulations vary extensively, partly reflecting diversity in the relevant sectors (e.g. agriculture, mining and petroleum) and commodities (sugar cane, oil palm and rubber, for example). Diversity of contractual formulations also reflects differences in applicable national law and in the preferences of the contracting parties. The parties themselves vary, though in many jurisdictions the state plays an important role in natural resource contracts. In addition, there is variation in the role the contract plays in governing natural resource investments: national law can establish a level-playing field for all investments sharing similar characteristics, and some states have moved towards standardised licences and greater reliance on national law, rather than fully negotiated contracts; but negotiated contracts are commonly used in many other countries, particularly low and middle-income ones.16 In all cases, national and international law shape the foundations upon which any natural resource contract rests. The notions of sovereignty, ownership and consent are particularly important elements of these foundations. The legal contours of those notions affect who has the legal authority to enter into the contract, and through what process. They also affect the terms that those with the authority to conclude the contract can or must agree to. However, while human rights jurisprudence has consistently applied to peoples, including groups within states, the human right to freely dispose of natural resources,22 international treaties explicitly frame sovereignty over natural resources as being the preserve of states.23 More generally, the “Westphalian” configuration of international law has traditionally connected sovereignty to statehood.24 One way to reconcile these complexities involves recognising that, at one level, sovereignty ultimately resides in the peoples, as explicitly affirmed in numerous national constitutions,25 and is constituted through peoples exercising their right to self-determination; but that states provide the organisational structures through which sovereignty is held and exercised in international legal relations. The right to make laws has long been recognised as a key attribute of sovereignty,26 and states have the right to regulate natural resources within their jurisdiction—including the modalities for allocating resource rights to commercial projects. In these regards, General Assembly Resolution 1803 affirms that permanent sovereignty over natural resources “must be exercised in the interest of […] national development and of the well-being of the people of the State concerned”.35 Similar provisions have featured in subsequent resolutions.36 On one level, this formulation seems coextensive with the affirmation of sovereignty. Written at the time of decolonisation, it signalled a shift away from natural resource policies that primarily responded to the interests of the colonial power: in the post-colonial configuration, national development and the wellbeing of the people in the newly independent state would be the sole criteria for the exercise of sovereignty over natural resources.37 In addition, features of this provision seem inscribed in a logic of deference to sovereign space: the notion of wellbeing is not defined, and—by virtue of their sovereignty—states are well placed to determine their national development priorities and pursue the wellbeing-enhancing strategies that are most relevant to their contexts. The “people”, of course, is not a straightforward concept, whether philosophically or sociologically, given the conceptual complexities of political community and the substantial differentiation of interests, values and aspirations that may exist within that community. What constitutes the “well-being of the people” in any given situation, what policy measures can enhance it most effectively, and how to navigate the often inevitable distributive trade-offs can form the object of intense contestation.40 As a matter of legal principle, however, the framing of Resolution 1803 means that a state that deliberately acted against its own people would violate its sovereign duties—even though, in practice, the undefined contours of those duties at first did not establish clear parameters for reviewing the legality of state conduct. This brief examination of existing international law highlights that, in exercising permanent sovereignty over natural resources, states have both rights and duties. According to human rights norms, for example, states must: (1) in terms of process, ensure respect for human rights throughout public decision making relevant to the exercise of permanent sovereignty over natural resources, and (2) in substantive terms, ensure that public action upholds human rights, and take steps to maximise the contribution of natural resource development to realising human rights. This interplay of rights and duties has implications for natural resource contracts. The duties set external bounds, because states cannot lawfully conclude (or sustain private parties in concluding) contracts in ways that, in terms of content or process, would violate their international obligations. To comply with their duty not to harm the environment outside their jurisdiction, for example, states would have to ensure, through contractual provisions or national legislation, that investors adopt (or do not adopt) specified conducts that have a bearing on environmental impacts. The duties also establish internal parameters—that is, they affect “from within” the very purpose of the exercise of sovereign powers. For example, they require states to ensure that natural resource contracting promotes the progressive realisation of economic, social and cultural rights. While sovereignty refers to political organisation and is inherently centred on the public sphere, issues of ownership are relevant to both privately and publicly held rights to use, manage and transact valuable resources. Patterns in resource ownership have a bearing on natural resource contracting. One reason is that, beyond the great diversity of national law regimes, it is commonly recognised that a contracting party cannot transfer rights that it does not hold.47 Put differently, who holds the resource rights, and the substantive content of those rights, will affect the identity of the contracting parties and the nature of the transaction. Unlike sovereignty, resource ownership is primarily governed by national law, and as discussed the enactment of national regulation is an attribute of sovereignty. As a result, legal arrangements can vary significantly in different jurisdictions—more than is possible to do justice to in the limited space available here. Further, while this section refers to ownership as a shorthand, configurations of resource rights can be complex and multi-layered, and they can encompass very diverse tenure set-ups. In many jurisdictions, national law vests ownership of mineral and petroleum resources with the state. Private (non-state) rights to subsoil resources do exist in some countries. This includes arrangements that legally recognise customary or indigenous rights to subsoil resources, which in some cases have paved the way to joint ventures or partnership agreements between investors and indigenous groups—for example in Canada and South Africa.48 In most countries, however, commercial mining and petroleum projects primarily involve licences issued by the state, or contracts with the state or a state-owned entity. Trends in land ownership present greater diversity, and globally there is extensive experience with land-related contracts awarded by non-state actors. In many low and middle-income countries, however, states own a substantial part or even all of the land, or they otherwise hold rights giving them substantial control over public lands that cannot formally be owned or alienated. This trend partly reflects historical legacies, including in the colonial period.49 Legal forms vary both within and between jurisdictions, encompassing concepts such as trusteeship, domaine public de l’état, domaine privé de l’état, and domaine foncier national, among others. But in general terms, the state in these jurisdictions has the legal authority to allocate land on behalf of its people, and land-based investments such as agribusiness ventures tend to involve long-term leases or concessions granted by the state. Ownership, under national law, of the resource at stake does not exhaust the full spectrum of rights and claims relevant to natural resource contacting. A few examples illustrate this point. Firstly, state ownership of subsoil resources may coexist with privately held rights to land and surface resources, which extractive industry contracts can affect. Secondly, even where the land is itself owned or controlled by the state, national law may protect rights to use and manage that land—for example, based on occupation, indigenous or customary rights, or stated-issued land leases. Depending on the context, these rights may be held by small-scale farmers, pastoralists, fisherfolk, forest dwellers or local residents, for example—including groups who qualify as indigenous peoples under international law. While in some national legal systems these use and management rights can pave the way to direct land transactions between right holders and external investors, in others local actors cannot allocate commercial contracts to investors directly,57 or else the rights they can allocate would fall short of commercial needs in terms of tenure security, transferability or mortgageability,58 so the state plays a key role in the transaction. Thirdly, small-scale farmers, pastoralists, fisherfolk, forest dwellers or local residents may claim resource rights that are perceived to be socially legitimate at the local level but are not recognised or adequately protected by national law. The upshot is that diverse resource ownership patterns translate into different combinations of public and private elements in natural resource contracting, and considerable variation across sectors and jurisdictions. Privately held resource rights can underpin contracts led by non-state actors, but in many jurisdictions natural resource contracts involve the state or a state-owned entity. Even where the state formally owns the relevant resource under national law, however, authorities are not entirely free to transact resource rights. International instruments create spaces for other resource right holders to have their voices heard in contracting, and—depending on the jurisdiction—national law may establish comparable safeguards. So while resource ownership can enable public authorities to play an important role in contracting, this role coexists with a wider range of relevant resource right holders and affected actors, and it is subject to both internal and external parameters—because authorities must manage the resources in the interest of the people, and because they must come to terms with resource rights protected under national or international law. While rules vary across jurisdictions, a contract is typically binding by virtue of the consent manifested by the parties. In natural resource contracts, consent is connected to issues of sovereignty and ownership. In relation to contracts between investors and states, international arbitral tribunals have clarified that, in expressing its consent to be bound by the contract, a state exercises its sovereignty.65 In addition, the right to transact or alienate an asset is widely considered an attribute of ownership,66 although restrictions may apply including to publicly owned assets. Conversely, the parameters of sovereignty and ownership limit the manifestation of consent. This is not only because, as discussed, a contracting party cannot transfer resource rights it does not hold. Wide-ranging legal obligations, including under international law, have further knock-on effects on consent. It is commonly accepted in contract law that external bounds delimit the realm of the parties’ consent. In transnational commercial transactions, for example, it is recognised that freedom of contract—that is, freedom to enter into a contract and determine its content—is restricted by the application of “mandatory rules, whether of national, international or supranational origins, which are applicable in accordance with the relevant rules of private international law”.67 Over a long-term historical trajectory, national laws in diverse areas such as rentals, labour and consumer protection have reconfigured the classical notion of freedom of contract,68 and often extensive legal requirements shape what the contracting parties can lawfully agree. Comparably, in natural resource contracts the sovereign duties of states affect the range of commitments that states can lawfully consent to, and the safeguards that states must establish for the manifestation of consent in contracts between private parties. Human rights obligations illustrate this point. Under international law, states have a duty to respect human rights—that is, to refrain from infringing on those rights; as well as a duty to protect human rights from interference by third parties, including business entities in the context of natural resource investments.69 Failure to uphold these duties in natural resource investments has been found to violate human rights treaties.70 It is worth recalling that businesses, for their part, have the responsibility to respect human rights—that is, “they should avoid infringing on the human rights of others and should address adverse human rights impacts with which they are involved”.71 Therefore, expressions of consent for a natural resource contract between a state and a business entity would engage, at the same time, the duties of the state to respect and protect human rights, and the responsibility of businesses to respect those rights. In this context, a state could not lawfully consent to contractual provisions that are inconsistent with its duty to respect and protect human rights. In addition, states must provide the regulatory framework to ensure that any contracts between non-state actors respect human rights. Besides setting external bounds for the manifestation of consent, the duty of states to exercise sovereignty and manage publicly owned resources in the interest of their people also establishes internal parameters that qualify consent from within. This configuration outlines even more far-reaching qualifications to the classic principle of freedom of contract. In private transactions, freedom of contract is mainly qualified through the external boundaries established by mandatory rules, so in principle the parties can autonomously determine their contracting objectives as long as legal requirements are complied with. In contracts involving the exercise of sovereignty, on the other hand, the manifestation of consent is inherently tied to the pursuit of public policy goals advancing the interest of the people that public authorities represent. For example, the duty of ICESCR states parties to progressively realise economic, social and cultural rights to the maximum of their available resources, discussed above, requires those states to take steps to maximise the contribution that natural resource development provides to the realisation of human rights. This duty of states to act in the interest of the people also has implications for the actors and processes involved in the formation and expression of consent. In investor-state contracts, national law may establish channels for parliament and citizens to influence public decisions underpinning the state’s consent. Process-related parameters relevant to investor-state contracts are also established by international human rights law, including via political rights such as the right to vote and freedom of expression and association, and the rights of consultation and participation pertaining to indigenous peoples. These parameters disqualify possible manipulations of the framing delineated in General Assembly Resolution 1803, because public authorities cannot claim to advance the “well-being of the people” on the basis of paternalistic visions that take little account of the concerns and aspirations of those whose interests they are meant to pursue. Besides framing the formation and manifestation of a state’s consent in investor-state contracts, the parameters of sovereignty and ownership—including the links that connect resource rights to human rights—provide the normative basis for multi-actor processes whereby the contract rests, at least in part, on the consent of relevant resource right holders. In this context, the notion of consent has been deployed to advance interests not associated with state sovereignty that, in legal terms, may—or may not—involve formal resource ownership. The configuration of the legal categories that underpin natural resource contracts—sovereignty, ownership and consent—has important practical implications. Some relate to the procedural and substantive dimensions of investor-state contracts. Others concern reframing the contracting process around a wider range of actors, including holders of legitimate tenure rights and people affected by project implementation. This section examines investor-state contracts, while the subsequent section explores community-investor and multi-actor contracts. Due to space constraints, the aim is to illustrate the issues rather than to discuss them comprehensively or in depth. Three examples illustrate implications for investor-state contracting processes. They concern issues of transparency, parliamentary approval and local consultation. The implications affect contractual practice, the wider governance frameworks it fits in, or the interpretation of general norms as they apply to contracting. Examples to illustrate content-related implications in investor-state contracts include stabilisation clauses and third-party rights. Starting with transparency issues, there have long been concerns that opacity in contracting and non-disclosure of contracts create the breeding ground for corruption and deals that do not maximise the public interest.85 These concerns have fuelled calls for transparency of contracts and contracting,86 where transparency is considered a pre-condition for citizens to hold authorities to account for the way they manage collective resources. Human right law affirms this connection between transparency and political rights, with international jurisprudence having linked public access to investor-state contracts to freedom of thought and expression.87 While empirical questions remain as to whether and how transparency translates into accountability, and while opinion is often divided on how to reconcile multiple commercial and non-commercial interests, there is substantial support for the proposition that, compared to purely commercial transactions, investor-state contracts should entail a different balance between transparency and confidentiality. This support is reflected, for example, in authoritative international guidance providing for transparency and disclosure,88 national laws mandating contract disclosure,89 and growing initiatives to facilitate public access to contracts.90 A significant number of extractive industry contracts are now publicly available, though many others are not and progress has been more limited in other sectors including agribusiness.91 The public law dimensions involved in natural resource contracting, and the fact that authorities must act in the interest of their people, arguably strengthen the case for transparency and accountability,92 and for deepening the (still tentative) transition towards normalising disclosure. An analogy may be drawn with contracts, and an argument may be made that constitutional requirements for parliamentary approval are rules “of fundamental importance” that an investor acting with due diligence should be aware of. However, some investor-state arbitral tribunals have deemed contracts to have effect despite the absence of the required parliamentary approval, holding that states were estopped from challenging in the arbitration the validity of contracts they had until then treated as valid.96 Such interpretations could undermine the effectiveness of constitutional arrangements aimed at aligning a state’s manifestation of consent with pursuit of public policy goals that connect natural resource development to enhancing the “well-being of the people” (in the language of Resolution 1803). Giving effect to the conceptual configuration of sovereignty, ownership and consent, outlined above, may require a different balance between investment protection and procedural propriety—expecting investors to identify any parliamentary approval requirements as part of due diligence processes and to bear the consequences of fundamental procedural defects. One question is whether government representations made before consulting affected resource right holders, and thus potentially in violation of applicable consultation or FPIC requirements, can create legitimate expectations. As discussed, international human rights instruments shape the parameters of state sovereignty and resource ownership, and authorities cannot lawfully take measures that violate human rights. Arbitral tribunals have held that the protection of human rights provides relevant context to frame the investor’s expectations.98 There is therefore a compelling argument that investors’ expectations should not be considered legitimate if, in making the representations, authorities breached their duty to respect and protect human rights.99 Businesses have a responsibility to respect human rights, including by conducting human rights due diligence,100 and this arguably requires investors to ensure that their expectations are premised on respect for human rights. Over the years, activists and jurists have raised concerns that a mechanical application of stabilisation clauses could constrain the implementation of deserving social, environmental or economic measures, including steps to realise human rights.105 More stringent rules on community consultation, labour relations, health and safety, and environmental protection—to name but a few potentially relevant examples—could adversely affect investments and trigger the application of stabilisation clauses. The concern is that states may have to exempt projects from the new measures; or else that, if states must bear the costs those measures cause, they may be discouraged from acting in the first place, particularly where public finances are under strain.106 As a result, people affected by the social and environmental impacts of natural resource investments could remain subject to obsolete (“stabilised”) rules over often long contract durations. The commentary to this principle clarifies that areas such as “labour, health, safety, the environment, or other legal measures that serve to meet the State’s human rights obligations” should be excluded from the scope of freezing clauses, and that economic equilibrium clauses should not contemplate financial repercussions for human rights measures.109 To be clear, this guidance does not suggest that stabilisation clauses formulated within such bounds would be desirable or well advised.110 Investors and states may have different interests, with investors typically favouring stability, and states potentially being wary of arrangements that could affect their ability to regulate over time. However, the point made here is about legally inscribed limitations rather than judgments of policy opportunity: stabilisation clauses that purport to limit the right and duty of a state to comply with its human rights obligations would be at odds with international law; and a state’s sovereign right lawfully to conclude contracts would not extend to clauses that conflict with international obligations. Depending on the jurisdiction, additional doubts may arise about the legality of stabilisation clauses—particularly those of the freezing kind—under constitutional law. Besides delimiting the external bounds of what a state can lawfully agree to, the interplay of sovereignty, ownership and consent also influences the internal parameters of investment contracting. These parameters proceed from the duty of states to ensure that natural resource development benefits their people, which in turn stems from Resolution 1803 and the ICESCR, and—depending on the jurisdiction—from any national legislation requiring authorities to manage resources in people’s interest. Natural resource contracts often involve complex policy choices, and wide political discretion, on how best to advance the public interest in diverse situations. For example, some states may favour contractual clauses that promote business, employment and/or training opportunities for local actors, or that require investors to finance public infrastructure. At scale and depending on the circumstances, however, these provisions might affect the fiscal take. Other states may prefer to maximise public revenues instead, and use these revenues to sustain public services or promote inclusive development without delegating these functions to private sector operators. States can legitimately make different policy choices on such issues and trade-offs. However, state conduct deliberately awarding commercial resource rights in the absence of any reasonably commensurate benefits being generated and earmarked to advancing human rights could come under scrutiny against the obligation of ICESCR states parties to progressively realise economic, social and cultural rights to the maximum of their available resources. There are also questions about legal arrangements that could facilitate more active roles for the people in whose interest authorities conclude the contract: insofar as any policy choices made involve contractual provisions that benefit third parties, one issue is whether those third parties can play any role in monitoring and enforcement. Examples of relevant investor-state contract provisions include requirements for the investor to finance local development funds, or to apply specified standards of compensation for land acquisition. In these cases, third parties such as relevant resource right holders and people affected by project implementation may benefit from contract compliance, yet they are often outside of the investor-state negotiation and contract. It is accepted that contracts can create rights for third parties, depending on their circumstances and formulation.111 Some scholars have argued for harnessing the “third party beneficiary principle”, as it applies in some jurisdictions, to enable third parties to access legal remedies for investor-state contract provisions that create rights for them.112 A pre-condition for this arrangement to work is that third parties know about the relevant clauses, which compounds the case for transparency. Applicable contract law has a bearing on third-party rights, and analytical work remains to be done to assess how third-party rights might work in diverse national legal frameworks. In more general terms, however, these exploratory reflections illustrate how (re)configuring the conceptual foundations based on positive law has wide-ranging practical implications for investor-state contracts and their governance frameworks—strengthening the case for transparency and for taking parliamentary approval requirements seriously; installing FPIC in contracting processes; restricting the bounds of “legitimate expectations” and any stabilisation clauses; and developing arrangements to ensure natural resource development advances economic, social and cultural rights. The conceptual discussion highlighted that, under international law, the state represents its people and exercises sovereignty over natural resources. While in many jurisdictions land is privately owned, national laws tend to vest ownership of subsoil resources with the state for the benefit of the people. In many jurisdictions, the state also owns or control part or all of the land. National law typically empowers authorities to award commercial concessions. As a result, the state often plays an important role in natural resource contracting, though the extent and nature of this role vary across countries and sectors. This account emphasises the bilateral relationship between the investor and the state, with the investor being deemed to advance commercial interests (while upholding their responsibility to respect human rights), and the state to bear the public interest of its people (including those most directly affected by the project, and citizens at large). More pluralist accounts of political organisation point to the complexities affecting the contours and operation of the state in real-life socio-political settings. Political economy factors can create misalignments between state action and the aspirations of the diverse constituencies the state is meant to represent. The distributive dimensions of natural resource investments compound these challenges: public revenues may accrue to the national level and their use may advance the priorities of those in power; while a disproportionate share of adverse impacts such as land acquisition and environmental degradation are felt at the local level. In effect, significant costs are borne by actors excluded from the investor-state contract.113 These actors may have limited ability to influence the state’s negotiating position. Partly reflecting these structural issues, many resource projects have triggered disputes between states and affected people. Human rights jurisprudence provides several examples of litigation originating from the contested award of natural resource concessions.114 Reconfiguring the procedural and substantive parameters of the investor-state contract can go some way towards addressing these problems; but the challenge does question the bilateral (investor-state) framing of natural resource contracts. A relation exists between community-investor agreements and the configuration of sovereignty, ownership and consent. By aiming to ensure that people affected by resource projects participate in decision making and in the socio-economic benefits those projects generate, community-investor agreements offer one vehicle for states to exercise sovereignty over natural resources in the interest of the people, as required by General Assembly Resolution 1803, and ensure compliance with human rights norms. Alternative or complementary models are available, such as institutionalised vehicles for political participation, and legislation that uniformly regulates the distribution of socio-economic benefits created by all relevant investments. In addition, community-investor agreements respond to resource ownership patterns. Recognising all socially legitimate tenure rights, as called for by the VGGT, provides local actors with a direct stake in contracting processes—because resource transactions should inevitably engage the actors whose resources are transacted. Where local groups own lands or resources, community-investor agreements can provide the main source of the investor’s tenure rights, for instance in the form of land lease or joint venture arrangements.119 For state-owned resources, local resource use rights or claims can provide the basis for the negotiation of community-investor agreements that, while not conferring commercial resource rights to investors directly, regulate other aspects of the relationship. Community-investor agreements raise significant practical challenges. Three deserve particular attention. The first concerns the notion of “community”. Contractual practice often uses this term (e.g. “community development agreement”) and some national laws define it.126 However, the notion raises difficult legal and philosophical questions, including about how to piece together multiple collective and individual interests. Further, groups vary considerably: “communities” can refer to an indigenous people, a number of indigenous peoples or groups within an indigenous people; or it can describe local residents united by geographic proximity and the impact of an investment who do not necessarily see the group as a stable source of social identity. This diversity has legal implications, reflected for example in the specific rights of indigenous peoples under international law. In addition, social realities do not always fit legal categories: collective identities may present fluid boundaries and evolve over time, and communities may host divided opinions and social differentiation including based on wealth, gender, age or ethnicity. Questions arise about the representativeness and accountability of local leaders, and mechanisms for selecting community representatives vary greatly—from mobilising traditional leaders to establishing new bodies such as elected committees, associations or cooperatives.127 Potential divides have also been identified between the communities negotiating partnership agreements and the lawyers advising them.128 Meaningful community-investor agreements rest on addressing such difficult issues about “community” and its representation. This may require significant investment in time and resources ahead of actual community consultations or negotiations. These dimensions concern the realm of practice more than law, but—in interrogating the nature of the actors expressing consent, and the process for doing so—they do raise issues about the legal frameworks governing social organisation and contracting processes. The second set of challenges concerns the reality of developing community-investor agreements in contexts that typically involve significant imbalances in negotiating power.129 These are likely to depend on factors affecting communities (such as social cohesion, strength of local organisations, quality of local leadership, technical and financial resources) and external forces (e.g. investor corporate policies, time pressures), but local actors are often at a disadvantage.130 As a result, community members may experience frustrations, divisions and stress, and they may ultimately not obtain the terms they seek.131 As has been pointed out for relations among states, the voluntarism inherent in the notion of consent belies the restricted freedom of action that can exist “when choices are between lesser evils”, leading critical commentators to draw a distinction between tactical consent and genuine approval.132 Again, these considerations concern practical rather than doctrinal issues, but they can entail legal reverberations. Communities may be exposed not only to unfavourable and even exploitative arrangements, but also to legal risks and possibly financial liabilities flowing from their being a party to the contract—particularly in community-investor contracts that encompass commercial dimensions, such as land leases or joint venture agreements. These issues would require careful thinking through, especially where imbalances in negotiating power or in available legal and technical support place the community at a disadvantage. It is worth noting that, in relation to some other types of contractual negotiations involving significant power asymmetries (e.g. labour or consumer contracts), juridical configurations have historically tended to move away from an exclusive reliance on consent as the foundation of the contract, with regulation setting mandatory parameters that favour the weaker contracting party. Recent “modern slavery” legislation has also restricted the relevance of consent when determining if a person is held in slavery or required to perform compulsory labour.133 These trends raise questions about the role that national and international law can play in establishing the conditions for meaningful consent and possibly minimum substantive standards for any community-investor agreements. The third set of issues concerns the place of the community-investor agreement in natural resource contracting, and particularly its relation to the investor-state contract. These dimensions can affect the relevance and legal bite of any community-investor agreement. In some cases, the community-investor and investor-state contracts appear to be entirely separate agreements, without effective mechanisms linking the two—an arrangement that can create problems during implementation. At the other end of the spectrum lie tripartite contracts, or tripartite transactions involving coordinated bundles of bilateral contracts, that bring together the government, the investor and communities within a single, multi-party contractual framework.134 Yet other approaches involve separate community-investor and investor-state agreements, but link these agreements in procedural and/or substantive terms. A few examples can illustrate the reverberations of these issues for the effectiveness of contracts in addressing community-investor relations. The interface between community-investor and investor-state contracts can affect sanctions for investor non-compliance with the community-investor agreement—including whether the state can terminate the investor-state contract for material breaches of the community-investor agreement. Process-related questions concern the sequencing between the two contracts: concluding the investor-state agreement first could limit options for the community-investor negotiation and undermine its usefulness for FPIC, which requires prior consent; but it could also provide one avenue for setting minimum parameters (e.g. on the terms of an outgrower scheme, were relevant to an agribusiness venture) that might help communities in their negotiation with the investor. Addressing these questions may require step-by-step contracting—whereby an initial investor-state contract outlines key specifics but keeps options open to enable FPIC and impact assessments; and a fuller investor-state contract is informed by the outcomes of those local processes including any community-investor agreements. For all three sets of challenges, contractual and regulatory practice is yet to settle, and legal scholarship is still in its infancy. The effectiveness of community-investor agreements vis-à-vis other forms of regulation, including taxation-based benefit-sharing arrangements governed by national legislation, is yet to be rigorously assessed. Conceptually, however, trends towards multi-actor contracting align with a configuration of sovereignty, ownership and consent that recognises the interplay of both rights and duties in the construction of these legal categories. This study has explored how legal concepts can help to reframe contractual practice. The investigation highlighted the role that, in a “Westphalian” system, states tend to play as the organisational vehicles for holding and exercising sovereignty and, in many jurisdictions, resource ownership. At the same time, international legal instruments place people at the centre of concerns about sovereignty. The obligations that these instruments create—including via strong connections between human and resource rights—have redesigned the contours of state sovereignty. Depending on the jurisdiction, national law may vest important resource rights with non-state actors and set up arrangements to ensure that states manage publicly owned resources in the interest of the people. This overall configuration establishes both internal and external parameters for lawful state conduct, including the formation and manifestation of state consent in natural resource contracting. It also underpins more pluralist approaches whereby contracting rests, at least in part, on the consent of a wider range of resource right holders and affected actors. Focusing on illustrative issues, the study then distilled the practical implications of this analysis. It found these implications to be wide-ranging—from the substantive content of contracts to their parties and formation process. Some such implications affect the substantive or procedural dimensions of investor-state contracts, or the framing and interpretation of the norms applicable to these contracts; while others set the scene for multi-actor contracting that involves not only investors and states but also actors affected by the investment. Each of these arenas has already experienced developments in contractual practice, including shifts towards greater contract transparency and growing experience with community-investor agreements; but the conceptual configuration of sovereignty, ownership and consent provides a more systemic foundation for addressing interrelated issues that have often been handled in isolation. These findings underpin forward-looking agendas for both research and action. The still fluid nature of some areas of contractual practice, particularly in relation to multi-actor contracting, creates opportunities for action to develop new approaches. At the same time, difficult practical and conceptual questions remain—for example, on the conditions that need to be in place, where negotiating power is very imbalanced, for consent to meaningfully provide the normative foundation of the contract. Therefore, continuing analysis can helpfully inform the action, which could in turn generate lessons for both contractual practice and research agendas. In taking forward this work, the location of natural resource contracting at the interface between national and international law; the combined operation of diverse sectoral and cross-sectoral (e.g. human rights, environmental) norms; and the complex relations between the normative and the experienced—all point to the value of interdisciplinary approaches that cut across traditional boundaries between research and practice, and between academic disciplines. “Transforming Our World: The 2030 Agenda for Sustainable Development”, United Nations General Assembly Resolution 70/1 of 25 September 2015, UN Doc. A/RES/70/1, e.g. para. 67. Ross (2015) and Venables (2016). See e.g. CCSI (2015), discussing the mining sector. Szablowski (2010) and Loutit et al. (2016). Amnesty International UK (2003, 2005), Cotula (2008), Shemberg (2009) and Johnson and Volkov (2013). Cotula and Tienhaara (2013), Odumosu-Ayanu (2014) and Gathii and Odumosu-Ayanu (2015). Special Representative of the Secretary-General on the Issue of Human Rights and Transnational Corporations and Other Business Enterprises, John Ruggie, “Principles for Responsible Contracts: Integrating the Management of Human Rights Risks into State-Investor Contract Negotiations – Guidance for Negotiators”, 25 May 2011, UN Doc. A/HRC/17/31/Add.3. See e.g. the training modules developed by the United Nations Office of the High Commissioner for Human Rights (OHCHR) on the Principles for Responsible Contracts (www.ohchr.org/EN/Issues/Business/Pages/trainingmodules.aspx). See also Götzmann and Holst Jensen (2014) and Investment and Human Rights Project (2016). See e.g. the Model Mining Development Agreement released by the Mining Law Committee of the International Bar Association (http://www.mmdaproject.org/). Kaul et al. (2009) and Sauvant (2017). Forestry, hydro and genetic resources are outside the scope of this study. For trends in the mining sector, for example, see CCSI (2015). General Assembly Resolution 1803 (XVII) of 14 December 1962. Case Concerning Armed Activities on the Territory of the Congo (Democratic Republic of the Congo v. Uganda), I.C.J. Reports (19 December 2005), para. 244. General Assembly Resolution 1803 (XVII) of 14 December 1962, para. 1. However, the fourth preambular paragraph refers to states. See e.g. common Article 1(2) of the International Covenant on Civil and Political Rights (New York, 16 December 1966) [hereinafter ICCPR], and of the International Covenant on Economic, Social and Cultural Rights (New York, 16 December 1966) [hereinafter ICESCR], referring to “peoples”; and Article 21 of the African Charter on Human and Peoples’ Rights (Nairobi, 27 June 1981) [hereinafter ACHPR], referring to both “peoples” (e.g. Article 21(1)) and “States Parties” (e.g. Article 21(4)). On this “peoples versus states” debate, see Duruigbo (2006), Doyle (2015) and Gilbert and Bernaz (2015). E.g. The Social and Economic Rights Action Centre and The Centre for Economic and Social Rights v. Nigeria, 27 October 2001, Communication No. 155/96, African Commission on Human and Peoples’ Rights, paras. 55–58; Centre for Minority Rights Development and Minority Rights Group on behalf of Endorois Welfare Council v. Kenya, 25 November 2009, Communication 276/03, African Commission on Human and Peoples’ Rights, paras. 252–268; African Commission on Human and Peoples’ Rights v. The Republic of Kenya, 26 May 2017, Judgment, African Court on Human and Peoples’ Rights, paras. 191–201. E.g. United Nations Convention on the Law of the Sea (Montego Bay, 10 December 1982), Article 193; and United Nations Convention on Biological Diversity (Rio de Janeiro, 5 June 1992), Article 3. It has been noted that General Assembly resolutions adopted after Resolution 1803 also tend to refer to “states” or “countries”; see Dam-de Jong (2015). See e.g. UN General Assembly Resolution 2625 (XXV) of 24 October 1970, particularly the principle of sovereign equality of states and related provisions. See e.g. 1991 Political Constitution of Colombia, Article 3; 1948 Constitution of the Italian Republic (as amended), Article 1; 2010 Constitution of Kenya, Article 1; 1987 Constitution of the Republic of the Philippines, Article II(1). See also the similarly worded Principle 21 of the Stockholm Declaration on the Human Environment (Stockholm, 16 June 1972); and Principle 2 of the Rio Declaration on Environment and Development (Rio de Janeiro, 12 August 1992), which refers to both “environmental and developmental policies”. The principle builds on earlier jurisprudence; see Trail Smelter Case (United States v. Canada), 3 R.I.A.A., 1905 (Perm. Ct. Arb. 1938, 1941). Legality of the Threat or Use of Nuclear Weapons (Advisory Opinion), I.C.J. Reports (8 July 1996), para. 29. United Nations Convention on the Law of the Sea (Montego Bay, 10 December 1982), Article 193. See e.g. ADC Affiliate Limited and ADC & ADMC Management Limited v. The Republic of Hungary, Award, 2 October 2006, ICSID Case No ARB/03/16, para. 423. For a discussion, see Guntrip (2016). Bayart (1993) and Chabal and Daloz (1999). Gilbert (2017) and Cotula (2017). General Assembly Resolution 1803 (XVII) of 14 December 1962, para. 1. However, Resolution 1803 also requires states to observe foreign investment agreements; see para. 8 and Desta (2015). On the process that led to the formulation of Resolution 1803, see Schrijver (1997). On the historical relationship between sovereignty and imperialism, see Anghie (2004). See also Dam-de Jong (2015), Violi (2015) and Gilbert and Bernaz (2015). See also the identical formulations in Principle 21 of the Stockholm Declaration on the Human Environment (Stockholm, 16 June 1972); and Principle 2 of the Rio Declaration on Environment and Development (Rio de Janeiro, 12 August 1992). Charter of the United Nations (San Francisco, 26 June 1945), Articles 1(3) and 55(c). ICESCR, Article 2(1). On the place of the ICESCR in international investment law, see Desierto (2015). Indigenous Peoples’ Permanent Sovereignty over Natural Resources: Final Report of the Special Rapporteur, Erica-Irene A. Daes, UN Doc. E/CN.4/Sub.2/2004/30, 13 July 2004, paras. 30, 39–40, 56. See also Wiessner (2008) and Fox-Decent and Dahlman (2015). See the Latin maxims nemo dat quod non habet and nemo plus iuris ad alium transferre potest quam ipse habet. For examples of legal recognition of customary/indigenous mineral rights, see, in South Africa, Alexkor Ltd v. Richtersveld Community and Others, Constitutional Court of South Africa (CCT19/03)  ZACC 18; and in Canada, the Nisga’a Final Agreement (British Columbia, 27 April 1999), Articles 3.19–3.20. See Cotula (2016) for a fuller discussion. Classifications in terms of public and private law resonate to varying degrees in different jurisdictions. In some civil law countries, public-private law divides can have practical repercussions, for example for the jurisdiction of ordinary and administrative courts; but these dimensions do not operate in the same way in other countries, particularly in the common law tradition. See e.g. the 1945 Constitution of the Republic of Indonesia (as amended), Article 33(3); and Nigeria’s Land Use Act 1978, Article 1. See more generally Gathii and Odumosu-Ayanu (2015). For an exploration of accountability in the context of agribusiness investments, see Cotula et al. (2017). See e.g. Tanzania’s Village Land Act 1999, Section 4(2). E.g. Yeboah and Kakraba-Ampeh (2016), writing about Ghana. Mamdani (1996) and Ouédraogo (2006). See e.g. Knight (2010) and Tanner and Bicchieri (2014), writing on Mozambique’s land and surface resource legislation. See World Bank (2013), which in relation to a commercial agriculture project in Senegal suggested an elaborate scheme of leases and subleases to circumvent such limitations. Voluntary Guidelines on the Responsible Governance of Tenure of Land, Fisheries and Forests in the Context of National Food Security (11 May 2012), e.g. paras. 3.1, 3.2, 4.4, 5.3, 7.1 and section 12 [hereinafter VGGT]. The VGGT refer to land investments in general terms. In practice, however, they have been primarily applied to the agriculture sector, in line with the institutional mandate of the United Nations bodies that were involved in their development. VGGT, paras. 9.9, 12.6, 12.7 and 12.9. E.g. VGGT, paras. 1.1, 2.2, 3.2, 3B.1, 3B.4, 4.1, 4.3, 4.8, 4.9, 9.3, 12.4, 12.6, 12.8, 16.7, 16.9. See for example the extensive jurisprudence of the Inter-American Court of Human Rights on the human right to collective property, discussed in Cotula (2017). E.g. Saramaka People v. Suriname, Judgment, Inter-American Court of Human Rights (28 November 2007), para. 134. Texaco Overseas Petroleum Company and California Asiatic Oil Company v. The Government of the Libyan Arab Republic, 19 January 1977, 53 ILR 389, paras. 66–68. UNIDROIT Principles of International Commercial Contracts 2016, Article 1.4. For a classic study, see Atiyah (1979). Guiding Principles on Business and Human Rights, UN Doc. A/HRC/17/31, 21 March 2011, Principle 1; Committee on Economic, Social and Cultural Rights, General Comment No. 24: State Obligations under the International Covenant on Economic, Social and Cultural Rights in the Context of Business Activities, 10 August 2017, E/C.12/GC/24. E.g. The Social and Economic Rights Action Centre and The Centre for Economic and Social Rights v. Nigeria, 27 October 2001, Communication No. 155/96, African Commission on Human and Peoples’ Rights, paras. 55–58. Guiding Principles on Business and Human Rights, UN Doc. A/HRC/17/31, 21 March 2011, Principle 11. If successful, the ongoing negotiation of a proposed treaty on transnational corporations and other business enterprises with respect to human rights could entail significant normative shifts in this area. Particularly the United Nations Declaration on the Rights of Indigenous Peoples, 13 September 2007, G.A. Res. 61/295, Articles 19 and 32(2) [hereinafter UNDRIP]; and Convention No. 169 of the International Labour Organisation Concerning Indigenous and Tribal Peoples in Independent Countries (Geneva, 27 June 1989), Article 6 [hereinafter ILO Convention 169]. UNDRIP, Articles 19 and (using slightly different wording) 32(2). E.g. Articles 6 and 13–19 of ILO Convention 169. There are some significant differences, however. For comparative analysis of the UNDRIP and ILO Convention 169, see Rombouts (2017). Saramaka People v. Suriname, Judgment, Inter-American Court of Human Rights (28 November 2007) para. 134. The African Commission on Human and Peoples’ Rights followed this jurisprudential approach in Centre for Minority Rights Development and Minority Rights Group on behalf of Endorois Welfare Council v. Kenya, supra, paras. 226–228. For example, Kichwa Indigenous People of Sarayaku v. Ecuador, Judgment, Inter-American Court of Human Rights (27 June 2012), e.g. paras. 160, 163–167. Kichwa Indigenous People of Sarayaku v. Ecuador, Judgment, Inter-American Court of Human Rights (27 June 2012), para. 185. Kichwa Indigenous People of Sarayaku v. Ecuador, Judgment, Inter-American Court of Human Rights (27 June 2012), para. 164. Anaya and Puig (2016), p. 2. See also Rombouts (2017). See also Doyle (2015) and Fox-Decent and Dahlman (2015). Ayine et al. (2005) and Rosenblum and Maples (2009). Rosenblum and Maples (2009), stating that “citizens have a right a right to know” how the government manages publicly owned resources (p. 15). Claude Reyes and Others v. Chile, Judgment, Inter-American Court of Human Rights, 19 September 2006. E.g. Principles for Responsible Contracts: Integrating the Management of Human Rights Risks into State-Investor Contract Negotiations – Guidance for Negotiators, 25 May 2011, UN Doc. A/HRC/17/31/Add.3, Principle 10. See also EITI (2016), Section 2.4(a). E.g. Liberia Extractive Industries Transparency Initiative Act 2009, Article 5. See e.g. Article 181(5) of the 1992 Constitution of the Republic of Ghana, and Article 71 of the 2010 Constitution of the Republic of Kenya. Depending on the context, for example, the government may structurally enjoy the support of the parliamentary majority, and members of parliament may lack the time and expertise needed to perform this role effectively. Vienna Convention on the Law of Treaties (Vienna, 23 May 1969), Article 46(1). See e.g. Bankswitch Ghana Ltd. (Ghana) v. The Republic of Ghana, Award Save as to Costs, 11 April 2014, UNCITRAL, particularly paras. 11.71–11.97. International Thunderbird Gaming Corp. v. The United Mexican States, Award, 26 January 2006, UNCITRAL, paragraph 147. Urbaser S.A. and Corsorcio de Aguas Bilbao Bizkaia, Bilbao Bizkaia Ur Partzuergoa v. The Argentine Republic, Award, 8 December 2016, ICSID Case No. ARB/07/26, paras. 622–624. Cotula (2016) and Cordes et al. (2017). Guiding Principles on Business and Human Rights, UN Doc. A/HRC/17/31, 21 MarchPrinciples 11, 13 and 15. Guiding Principles on Business and Human Rights, UN Doc. A/HRC/17/31, 21 March 2011, Principles 11, 13 and 15. Principles for Responsible Contracts: Integrating the Management of Human Rights Risks into State-Investor Contract Negotiations – Guidance for Negotiators, 25 May 2011, UN Doc. A/HRC/17/31/Add.3. Shemberg (2009) and Cameron (2010). More generally, see also Wälde and N’Di (1996) and Johnson and Volkov (2013). On the different issues raised by the stabilisation clauses found (arguably more rarely) in investment treaties, see Gazzini (2017). See e.g. Amnesty International UK (2003, 2005). On the environmental dimensions, see Tienhaara (2006), Cotula (2008) and Viñuales (2012). Leader (2006) and Cotula (2008). Principles for Responsible Contracts: Integrating the Management of Human Rights Risks into State-Investor Contract Negotiations – Guidance for Negotiators, 25 May 2011, UN Doc. A/HRC/17/31/Add.3, Principle 4. Principles for Responsible Contracts: Integrating the Management of Human Rights Risks into State-Investor Contract Negotiations – Guidance for Negotiators, 25 May 2011, UN Doc. A/HRC/17/31/Add.3. Principles for Responsible Contracts, Key implications of Principle 4. See the wording “if used” in Principle 4. 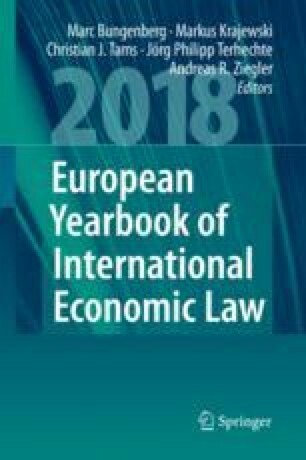 In relation to transnational commercial transactions, for example, Articles 5.2.1–5.2.6 of the UNIDROIT Principles of International Commercial Contracts cover third-party arrangements. Gathii (2014). See also OHCHR (2015). For a discussion, see Cotula (2017). O’Faircheallaigh (2013), writing on the mining sector. E.g. Majid Cooke et al. (2011), Lahiff et al. (2012) and Djiré et al. (2013). E.g. Boamah (2014), writing on Ghana’s agricultural sector. E.g. VGGT paras. 12.6, 12.9, 12.10, 12.14. E.g. Saramaka People v. Suriname, Judgment, Inter-American Court of Human Rights (28 November 2007), para. 134. See also Morgera (2016). Odumosu-Ayanu (2015). However, some agreements explicitly affirm that the community supports the project (O’Faircheallaigh 2010). Examples include, in Mozambique, the Land Act 1997, Article 1(1) (defining “local community”); and in the Philippines, the Indigenous Peoples’ Rights Act 1997, Article 3(h) (defining “indigenous cultural communities”). O’Faircheallaigh (2013) and Szoke-Burke and Cordes (forthcoming). See for example the United Kingdom’s Modern Slavery Act 2015, Sections 1(5) and 2(2). Odumosu-Ayanu (2014) and Gathii and Odumosu-Ayanu (2015). Open Access This chapter is licensed under the terms of the Creative Commons Attribution 4.0 International License (http://creativecommons.org/licenses/by/4.0/), which permits use, sharing, adaptation, distribution and reproduction in any medium or format, as long as you give appropriate credit to the original author(s) and the source, provide a link to the Creative Commons licence and indicate if changes were made. The images or other third party material in this chapter are included in the chapter's Creative Commons licence, unless indicated otherwise in a credit line to the material. If material is not included in the chapter's Creative Commons licence and your intended use is not permitted by statutory regulation or exceeds the permitted use, you will need to obtain permission directly from the copyright holder.